Ms. Loidolt is a shareholder and trial lawyer with more than 24 years of experience defending medical providers. Ms. Loidolt is committed to obtaining justice for her clients who have been wrongfully accused of malpractice. Having tried more than 45 medical cases to jury, Ms. Loidolt is a highly-sought-after expert in the field of medical malpractice. She has handled many high-exposure cases including claims of birth injury and cerebral palsy. Ms. Loidolt recently successfully obtained a verdict in her client’s favor in a claim of negligent management of labor and delivery, causing "birth injury," and cerebral palsy, and involving a life-care plan of future medical care costs totaling $33 million. Ms. Loidolt is a 2012 recipient of the Minnesota Lawyer of the Year award, presented by Minnesota Lawyer. 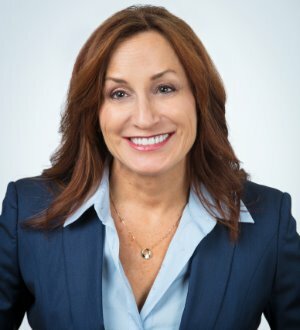 She was featured in Super Lawyers Magazine, in the article, "The Gunslinger, the Bulldog or the Pit Bull," which highlighted her dogged dedication of obtaining justice for her clients. Ms. Loidolt is a Fellow in the Litigation Counsel of America (LCA). She was recently interviewed by the LCA about her career as a trial lawyer, and her thoughts on diversity and equal pay. Ms. Loidolt is listed in the Best Lawyers in America in the area of medical malpractice. She has a Martindale-Hubbell AV Preeminent rating.Ms. Loidolt regularly lectures on a variety of topics including malpractice, leadership, and gender equality in the law profession and also serves on Bassford Remele’s Compensation Committee. University of Minnesota - Twin Cities, B.A.